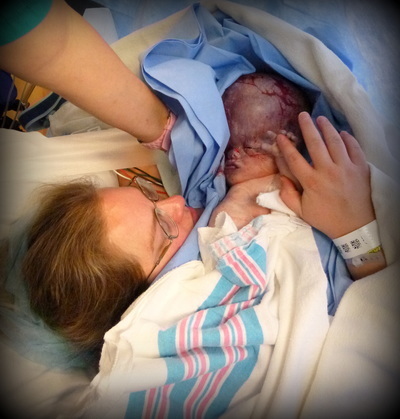 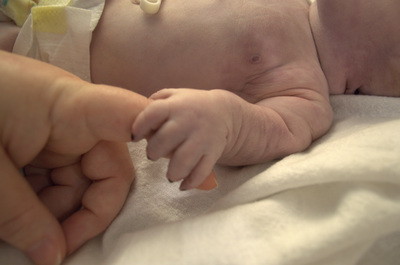 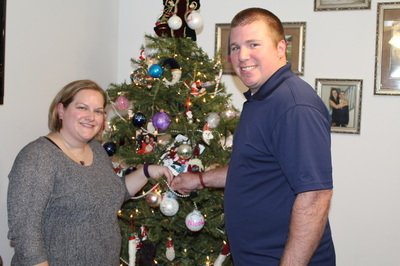 These photos are posted here to show our beautiful son who as born on November 6, 2015. 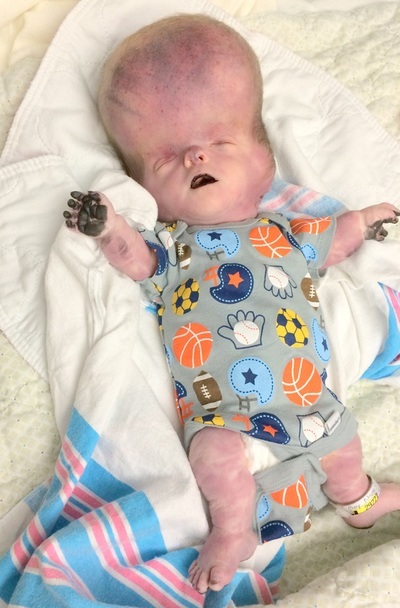 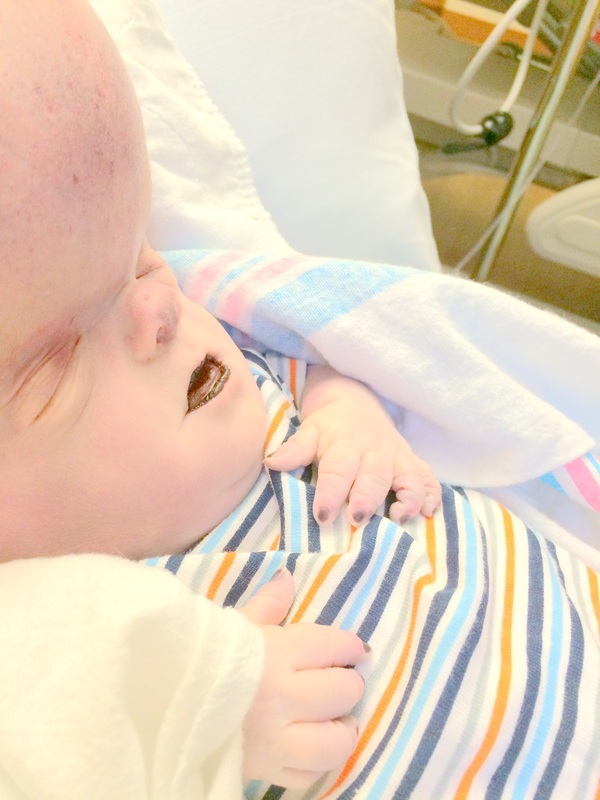 Daniel was born with several characteristics of Type II Thanatophoric Dysplasia along with a full head of beautiful, soft hair. 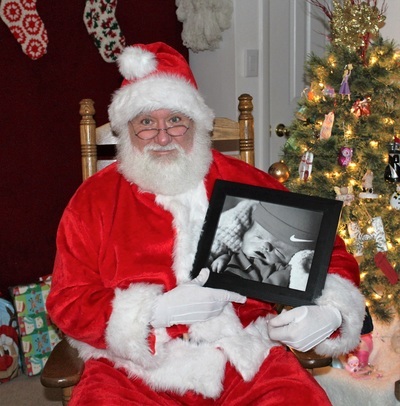 He was our perfect little boy and our true blessing from God. 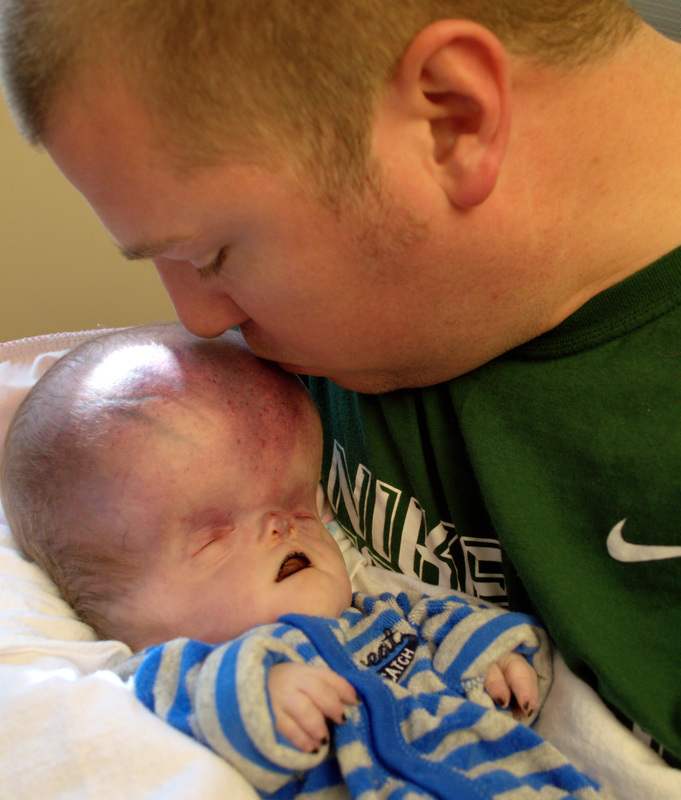 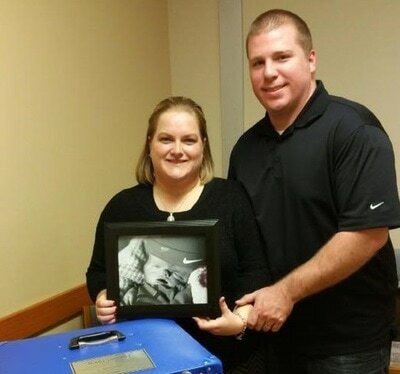 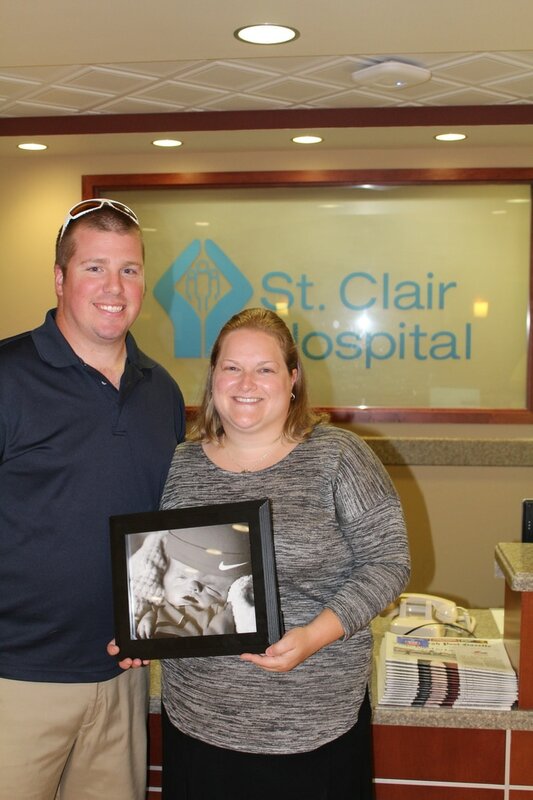 We cherish the hundreds of photos we took of our son during the days we had him in the hospital room with us. 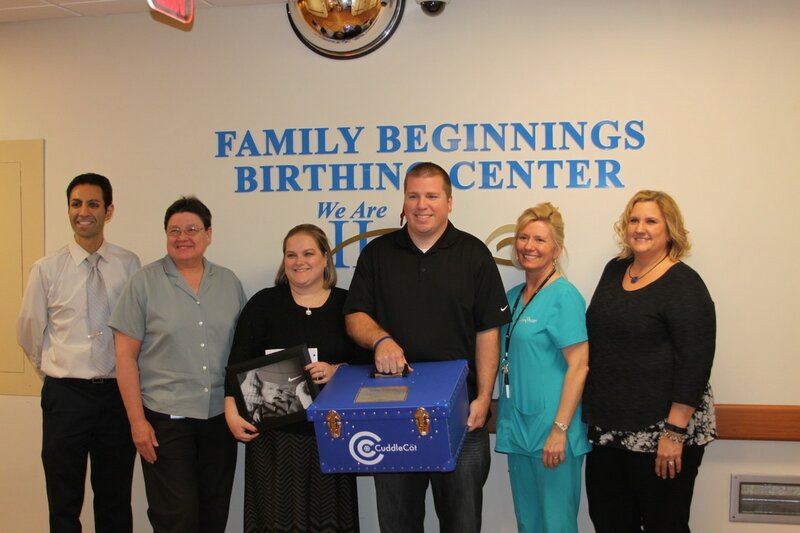 Our first Cuddle Cot was donated to Uniontown Hospital in Uniontown, PA on March 31, 2016. It was the first Cuddle Cot in southwestern Pennsylvania. 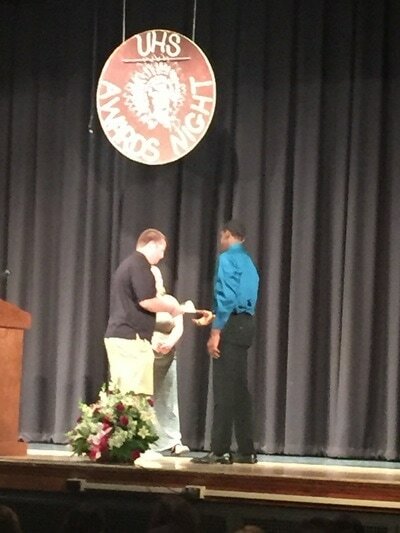 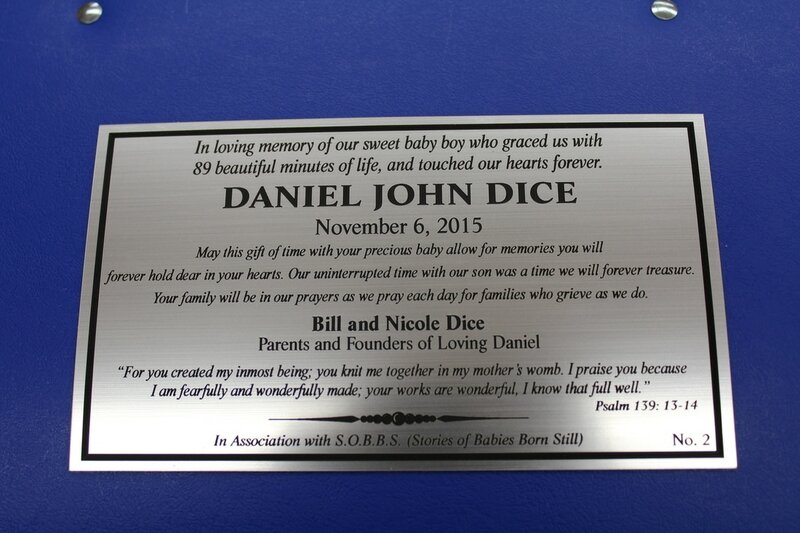 We presented our first Annual Daniel John Dice Memorial Scholarship at Uniontown Area High School on May 24, 2016. 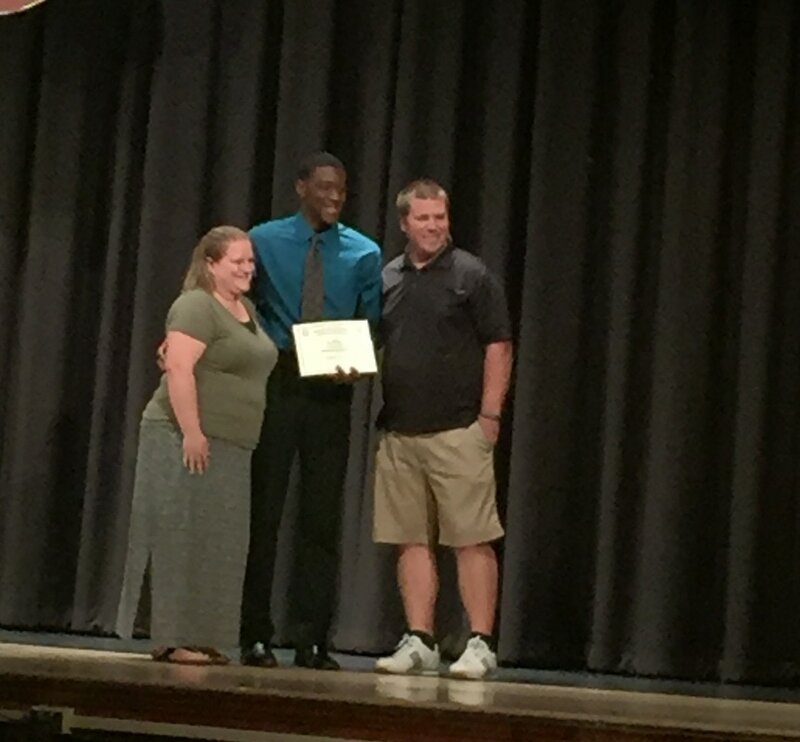 The applicants were student athletes who were required to write an essay about how sports have positively impacted their lives. 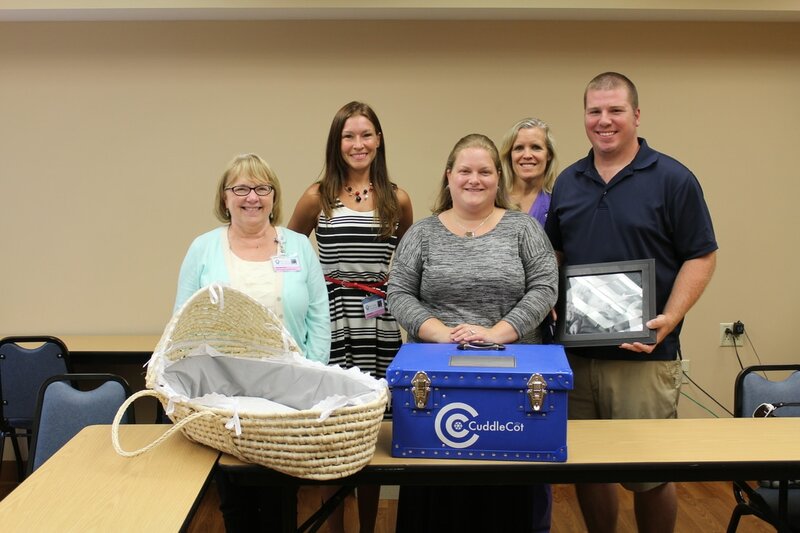 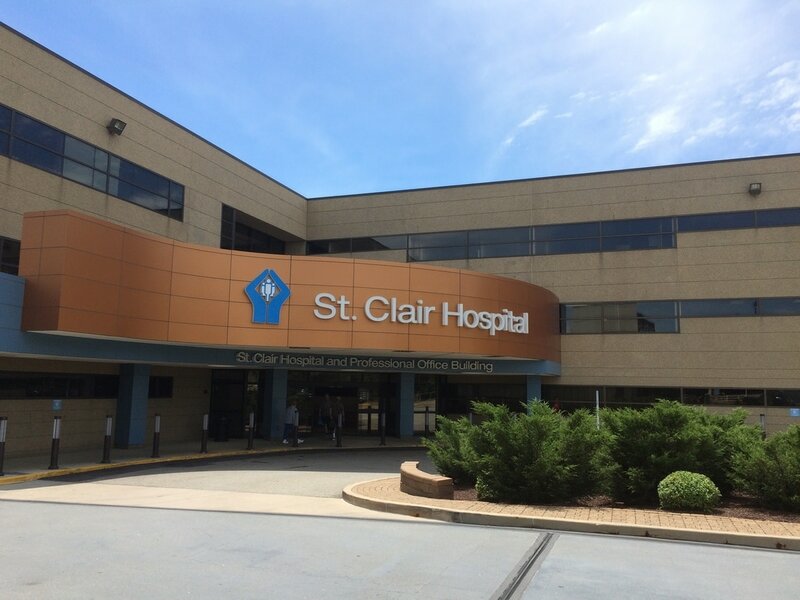 We donated our second Cuddle Cot to St. Clair Hospital in Pittsburgh, PA on July 18, 2016. 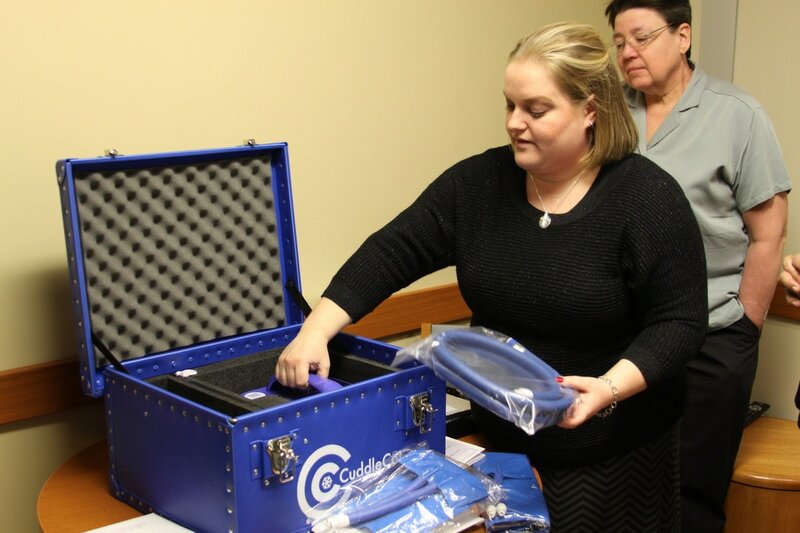 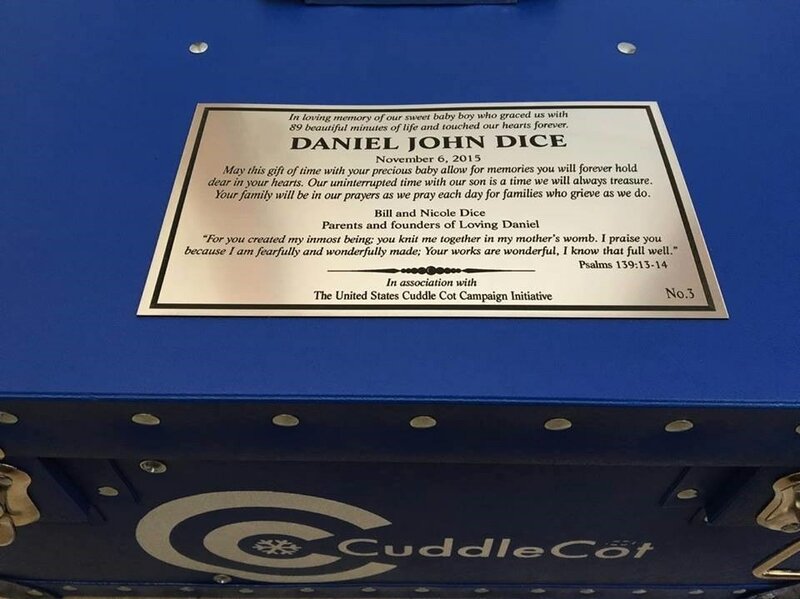 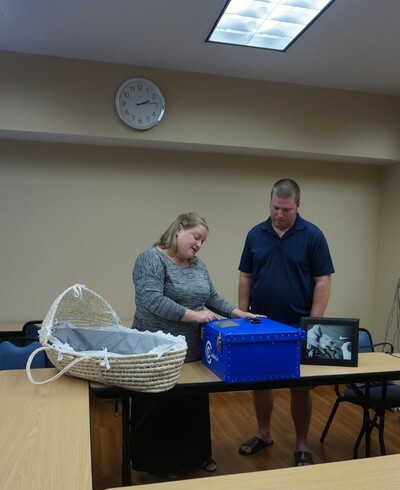 This was the first Cuddle Cot for the Pittsburgh area and second in Southwestern Pennsylvania. 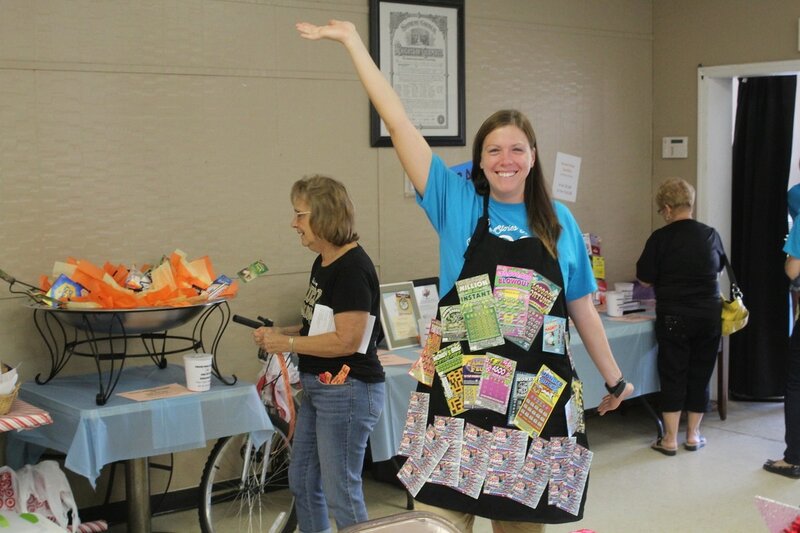 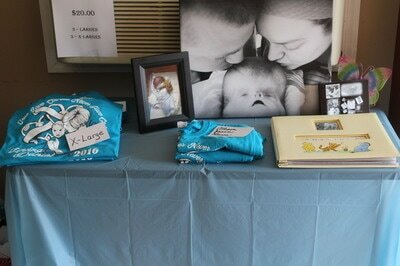 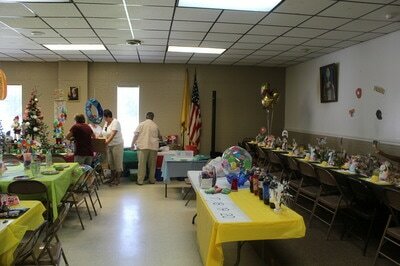 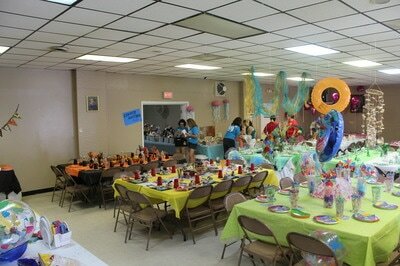 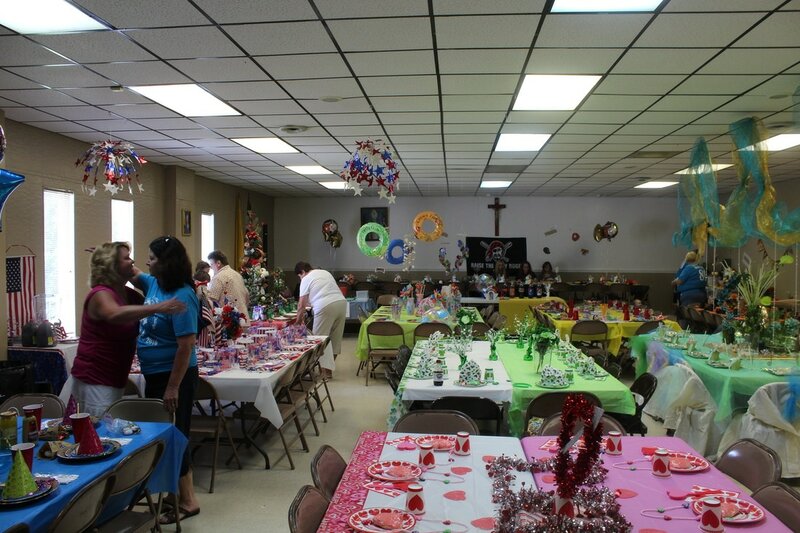 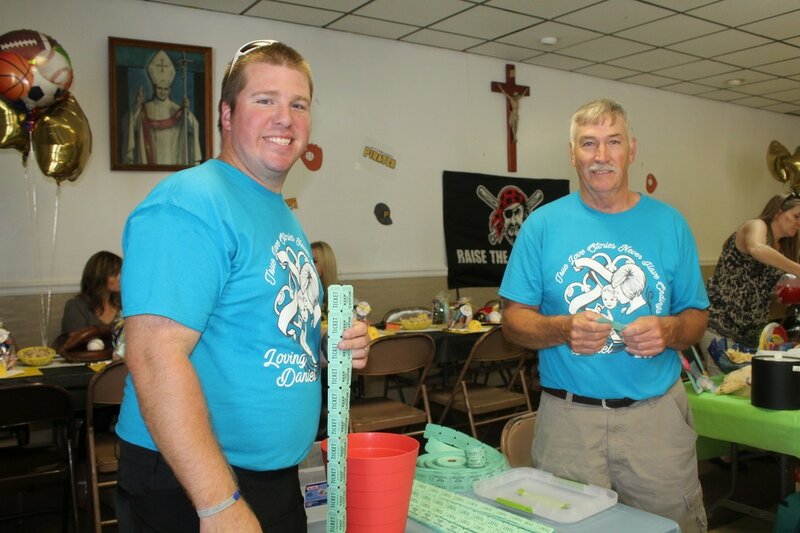 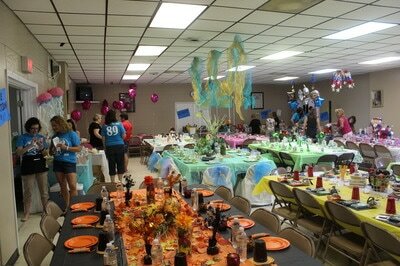 Approximately 150 people attended our first calendar party fundraiser. 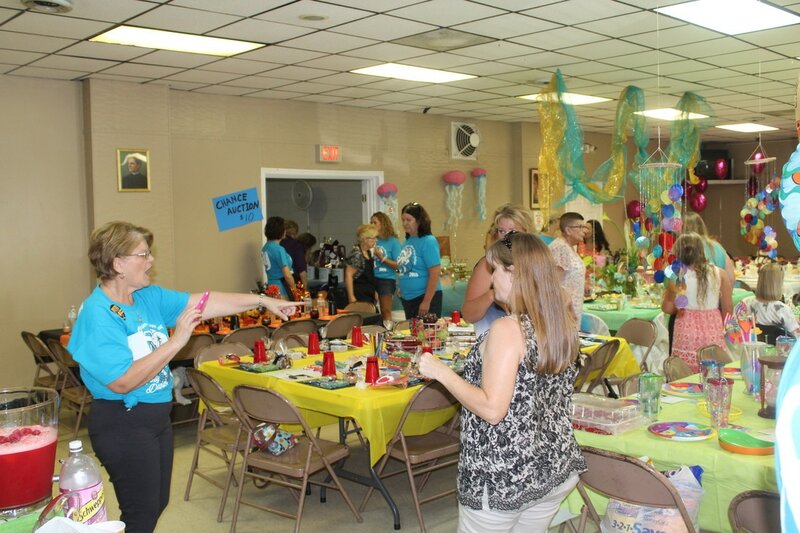 There were 13 tables beautifully decorated with themes such as Under the Sea, Take Me Out to the Ballgame, Beach Party, and Luck of the Irish. 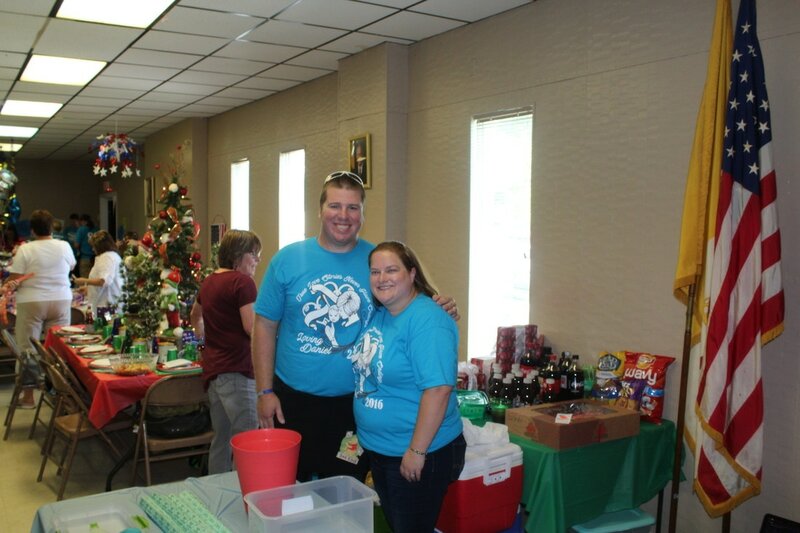 We are very thankful for all the volunteers and donations made to help our outreach efforts. 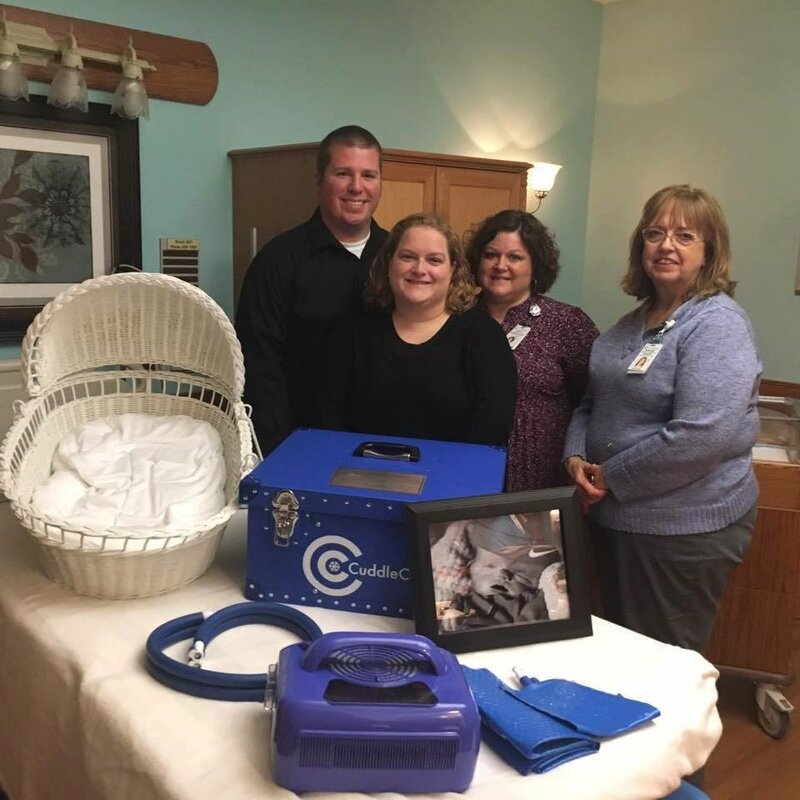 On November 17, 2016 we donated our third Cuddle Cot to Ruby Memorial Hospital in Morgantown, WV. 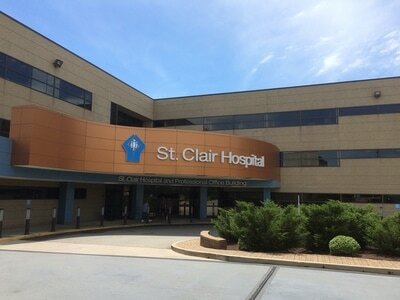 This is the first one in the northern part of the state and only the second for the state of West Virginia.